It is my first post and I sent warm greetings to all Blocs users! My english might be harsh but I hope everybody may understand what I wrote. I’m using Blocs for some short time and i made one complete website with it. My experiences are very good for now but I noticed some inconvenient lacks in program. One: no ability to set the page language tag in the program. This is important because of the search engine optimisation (!). I think, this option can easely be placed in Page Settings panel - eg right under the Page Name. Two: The included mailform.php file contains the string “You have received a new message.”. It can’t be translated or modified in the program. I think would be nice to place apropriate setting for form in the sidebar to edit this string or maybe write some longer text to body of the message. Those two lacks are the biggest obstacles, because of them I can’t transfer the website to server without some additional manipulations outside the Blocs. I am surprised that no one commented on this. Both points by cOmpOser are good suggestions. Is any chance that those two would be implemented in near future? Site translation is a big job that is more long term. The messages in the PHP I might be able to address sooner. Is it really that hard to do it? There is no setting for that. He is speaking of the HTML global lang Attribute, inside the html Tag, paired with ISO language codes. Ah ok, I’m not familiar with that tag, I can get switching the html tag option into version 2.5. I’ll just need to research it so I fully understand. I Managed to squeeze this in today. It’s all implemented and ready for 2.5. 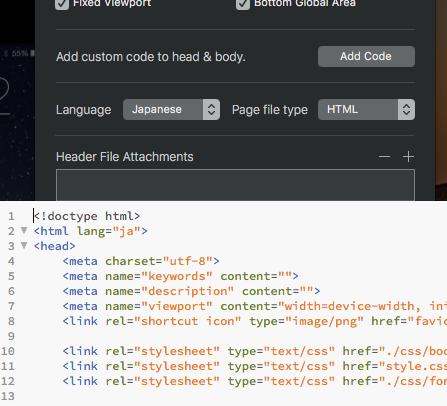 Hi @Norm, thanks for response about the global language attribute of html file! So, what can be done with my second suggestion? Two: The included mailform.php file contains the string “You have received a new message.”. It can’t be translated or modified by the Blocs app. I think would be nice to place apropriate setting for form in the sidebar to edit this string or maybe write some longer text to body of the message. you can manually edit this outside of Blocs for now. I’ll work on a in app solution.